Many would have you believe that Deptford has very little going for it, not only in the way of food, but in every way. As a local to the area, I’m here to tell you that it’s really not true. Deptford has lots of hidden gems, and today I’m going to tell you why, as a vegan, Deptford High Street is in fact, one of the best places to eat in London. 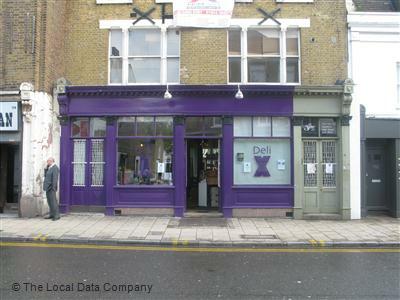 Hidden amongst the kebab shops and chicken shops, are two of my favourite eateries… Deli-X and The Waiting Room. I’d like to tell you a bit about them, and why they are such a refreshing sight, for someone who usually trawls from one place to another, looking at menus and moving on. If you want to try the vegan and gluten free options, particularly on a Saturday, be sure to get there nice and early – on a number of occasions, we’ve arrived slightly later than our usual visiting time, and been told that a lovely dish had been made, but it had all gone. It just proves how popular these alternative options can be – and enjoyed by many a meat-eater too, just because it looked so good. Deli-X is independently owned, which adds another few gold stars to the rating. You will always be served with a smile and a friendly chatter. In fact, since we’ve been visiting, the number of vegan and gluten free dishes keep increasing. Such a lovely way to be – keen to keep your customers happy and experiment with new foods. It’s so exciting, as we never know what’s being made up for us from one visit to the next. Gluten free, vegan lasagne, roasted butternut squash with gorgeous stuffing, delightful wheat free sandwiches, and soups bursting with flavour. To name but a few. 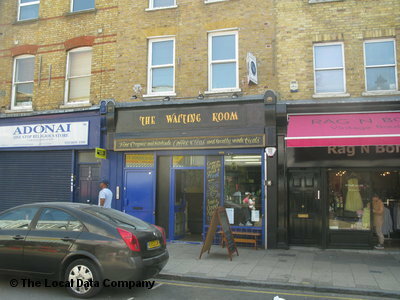 Just a short walk down the road, towards Deptford station, you will find another treasure… The Waiting Room. Quite small, and often packed out, the quality speaks for itself. Fully vegetarian, with most options on the menu able to be made vegan, this is the place to be! And dare I mention a basic bean burger, or a flavourless soya hot-dog? Most certainly not! Loads of sauces, and great combinations bursting with flavour are on offer. Deptford Death Sauce is so popular, it’s even made The Evening Standard just a couple of weeks ago. From hot-dogs, to burgers, to freshly made soup. 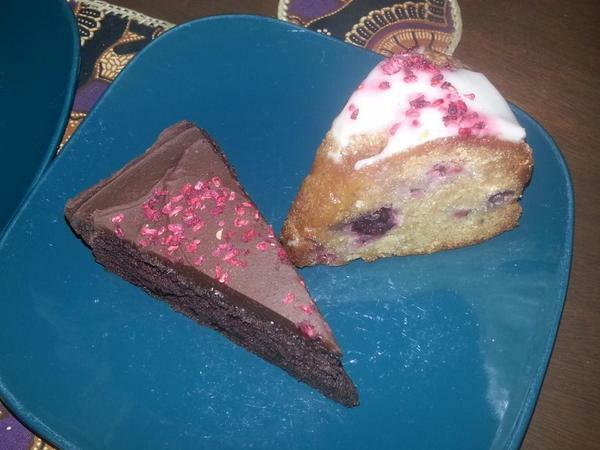 And don’t forget the scrummy cakes – there’s usually a gluten free option, and most of them are also vegan. It’s not particularly easy to eat in here gluten free (besides the soup and cake – who really needs more? ), but I’m sure if I asked nicely, something would be produced! Soya milk is, of course available for your coffee (Union Hand Roasted no less) and you can give your tips to the garden gnome! One of the best things about The Waiting Room is that they are so down to earth, and friendly guys. Another independent, that shines out amongst the corporate chains! You don’t have to leave The Waiting Room empty handed either. As well as being able to take-away the food and coffee, you can grab a book from the great range to choose from, just so long as you bring another one back the next time. Book swapping is the future! So to Deli-X and The Waiting Room – keep up the great work! You are shining stars and really make Deptford High Street the place to be for anyone and everyone who wants somewhere a little more friendly and thoughtful to eat, drink and enjoy. Next Post Friday Randoms… Here Comes the Sun!